Born in Ft. Wayne, Indiana, Brad Coburn came to the Gulf Coast of Florida by way of Brooklyn, New York. 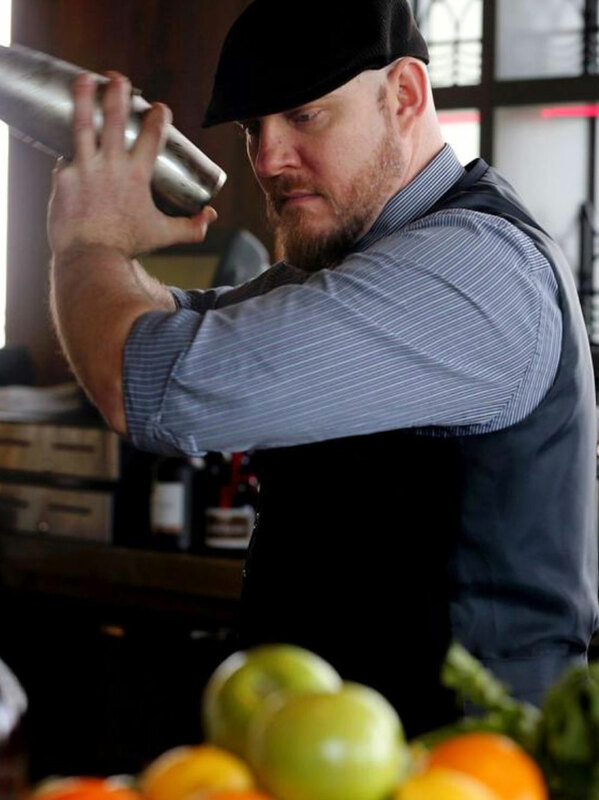 With over 20 years of experience, Coburn's expertise in many aspects of the industry has given him a unique perspective into craft bartending. In his professional career he has learned valuable skills as a chef, waiter, barista, and bartender. His focus on craft bartending started in 2010 with the opening of his casual fine dining restaurant, meLange, in downtown Sarasota's historic Main Street. Later in 2010 his "spiritual" passion skyrocketed with the opening of his cocktail lounge, Pangea Alchemy Lab. Since then Brad has earned multiple certifications and won a number of prestigious regional and national awards. Dedicated to his community and trade, Brad is regularly involved in national industry events. He founded the Sarasota Network of Bartenders (SNoB), has held the Chair of Education for the Tampa Bay United States Bartenders' Guild since 2013, and was also the Repeal Day Conference Gala chair from 2014-2017. Brad believes that a rising tide raises all boats and is constantly sharing his experience and knowledge with other bartenders and consumers. He hopes to show people that the hospitality industry can be a great career path and not just a stepping stone to a "real" job.